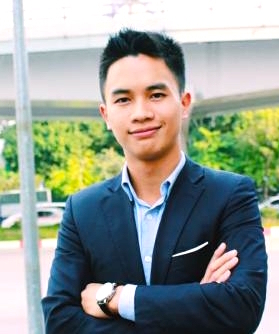 TheLEADERFirst Alliances Hanoi branch director Nguyen Thac Thang talks about the shortage of senior managers in hospitality and real estate industries. Nguyen Thac Thang, director of the Hanoi branch of First Alliances. As Vietnam is witnessing a boom in tourist arrivals, have you seen any rise in demand for employment in hospitality sector? Nguyen Thac Thang: The demand for human resource in hospitality sector is currently very large, as a result of two factors. First, investment in real estate is booming, and in particular, in tourism real estate projects such as condotels and resort villas. Second, the number of foreign tourists to Vietnam has continuously surged by 30 to 40 per cent per year. According to Vietnam National Administration of Tourism, the country last year welcomed about 15.5 million international visitors, an increase of 2.7 million compared to 2017. Domestic tourists reached 80 million, an increase of more than 6.8 million over the year. The total tourism revenue reached about $26.8 billion. This year Vietnam is expected to welcome about 18 million international visitors and 85 million domestic tourists, earning a total revenue of over $30.2 billion. The strong growth of the tourism industry has encouraged development of tourism real estate. All of these factors lead to surging demand for personnel in tourism and hospitalitysectors. However, labour supply still cannot meet demand, regarding both quantity and quality. A lot of companies are currently lacking senior personnel, such as sales managers, hotel managers and tour operators. There are hundreds of thousands of new graduates every year, why are businesses still complaining about labour shortage? Nguyen Thac Thang: As mentioned above, personnel in a company is divided into two main types, senior managers and ordinary employees. Qualification for ordinary employees is often not too strict. However, the training quality of hospitality schools may still be limited, resulting in staff lacking of professionalism and therefore, most companies find it difficult to select suitable workers. In addition, a large project coming into operation needs from a few hundreds to thousands of employees at the same time. Many projects are concentrated in one region, making the demand for staff even larger, and recruitment is much more challenging. For senior management personnel, the shortage is even more severe. An ordinary hotel needs an executive manager and about 20 chiefs of departments with highly professional knowledge and skills. Hence, recruiting this type of staff is far from easy. Another factor making it difficult for tourism personnel recruitment is that most projects are located in the flourishing tourism destinations such as Phu Quoc, Nha Trang, Danang and Halong, which are far away from major training centres like Hanoi and Ho Chi Minh City. Meanwhile, the labour source in these areas mostly works for the production sector while local worker training has not received enough attention. Hence, the locals often fail to meet the requirements of companies. For example, an investor complained that he needed up to 100 caddies with the height of 1.65 metres or above and good-looking appearance for a new golf course. However, people in the neighbourhood are lisp, so it is very difficult to select qualified candidates. After three months, the company could only recruit 10 staff. They then had to bring caddies from other golf courses to work here and recruit new ones in other areas. Can you suggest some solutions for this problem? Nguyen Thac Thang: When companies have difficulties in recruitment, First Alliances often advises them to consider two options: “buying” employees or recruiting totally new ones for training. With the first option, companies will recruit employees at similar positions of other companies with a higher income than the one they are paid. This approach may be instantly effective but it tends to be short-term, as those employees may easily change their company again with a higher offer. The second solution is more likely to be long-term. Enterprises may train new employees by themselves or cooperate with schools to train staff according to their requirements. To select the best staff, companies should combine both solutions depending on their business performance. Will a shortage of staff create a hindrance to tourism real estate development? Nguyen Thac Thang: It can be seen that the price of Vietnam's tourism services is still very cheap compared to other countries in the region such as Thailand and the Philippines. At this price, the current service quality is still acceptable. However, in the coming time when the tourism industry grows, customers' requirements for services will increase. To improve service quality, Vietnam needs to make every effort to improve the quality of human resources. To do this, more investment in tourism is needed. Apart from physical attributes like real estate, accommodation facilities and transport infrastructure, we also need to cultivate the soul of the tourism industry - human. Increasing investment in human resources will help develop Vietnam's tourism. However, who will take the action? Waiting for the State will take a long time. If enterprises spend their own money on training, it will be very costly and challenging at first, but after that, they may measure the efficiency. Enterprises need to focus on training local human resources and work with schools to train personnel. High-quality human resources are mainly concentrated in big cities and as a result businesses need to train local workforce and promote job opportunities to attract them back to provinces.